A lead sheet is a way of representing a song using (simplified) melody line (notes), and chord symbols representing the accompanying harmonization. Often, the lyrics of the first verse are written below the notes. In the lead-sheet example above, showing the well known song Oh Suzanna by Stephen Foster, you see chord symbols marked blue, while rehearsal markers are displayed in red. 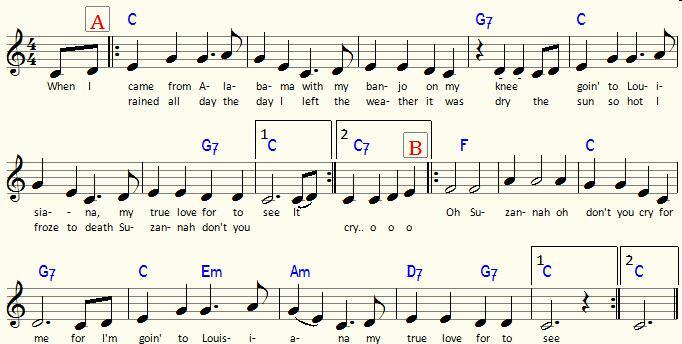 Using colors in a lead sheet may enhance readability. Lead sheets are frequently used in Jazz music. So called "fake books" are large collections of lead sheets.